Story about recognizing and being grateful to people who support us in our life’s journey. It was almost Christmas. Time again to rest, relax, rejuvenate, reflect. And say thanks for life and friendship. Sending gifts, cards, emails, texts and making his phone calls at this time had now become a ritual that Rosh had been following religiously every year, even though he personally did not celebrate Christmas. He sat thinking of the people in his address book. His family, friends, acquaintances. He thought of how this year and his life in it had been. What should he say to the people who had touched his life this year, one way or another. How to express his gratitude? Words escaped him. For his family, 2016 had been a year of waiting financially, but they had been able to connect more with their extended family back in India. After Isha's father’s death last year, Isha and Rosh had only now been able to come to India, to meet Isha’s mother. Once there, they also initiated their investment program in Indian banking products. On their way back from India, they traveled through China on an investment assessment tour. Despite a good start, their plans had to be shelved midway when both contracted severe chest infections. The shock news of Isha’s brother’s death also arrived while they were in China. Back in New Zealand, they couldn’t get much work done through tradespeople this year, as both the properties put up for sale last year hadn’t sold, despite the average Auckland selling price crossing one million NZD (New Zealand Dollar) in August. The Kiwi OCR was cut down to 1.75%, and the Australian OCR to 1.5% pa, but the big four Aussie banks failed to pass on much of this relief to the mortgage holders in either country. They were trying to cover up their soured high risk apartment lending in Australia. Auckland’s property price rise that hadn’t been dented much by earlier legislative changes, was arrested in August when John Key egged the Reserve Bank governor to fast forward the 40% LVR (Loan-to-Value ratio) rule. Meanwhile, NZX (New Zealand Stock Exchange) launched Vanguard ETFs (Exchange Traded Funds), and Rosh bought into some of these through one of his companies. The global share markets ended the year higher than last year, but for Rosh, peace came from having no major repairs or tenant hassles this year. USA was Trumped and India Modified. Modi was beginning to like the idea of his surgical strikes, but not many Indians found it Hilaryous when 500 and 1,000 INR (Indian Rupee) notes were demonetized. Debates raged about China resettling Tibet Nepal border with mainland Chinese, the Syrian War, Brexit, Key’s resignation and the impeachment of Brazil's first female president, Dilma Rousseff. On the personal front, separation of TaleTown’s Hindi and English sections that Rosh had begun last year, had progressed painfully slowly. Not many stories had been written or translated this year. Thankfully, their health had recovered after China. After many review requests, Isha had also finally received a 50c per hour raise this year. Almost all her other colleagues, however, continued to suffer from a pay freeze which now extended into its fourth year. Hosh had completed his research year with usual high accolades and prizes, but remained worried whether he had done enough in his written report to get an honors degree. He did not want a post graduate diploma noted on his CV (Curriculum Vitae). His research paper presentation in the International Conference at Melbourne had gone well, and he was currently finishing his elective in a Johannesburg Hospital in South Africa. Josh had finished his boarding school this year, and was touring the big and small coastal towns of Australia on a fact-finding mission to research investment opportunities for his father's companies. He was to fly to Johannesburg after Christmas, to meet up with his brother to do the same there, and from there the two were to go looking at investment opportunities in Cape town. They were then to fly to London and from there to Europe, prospecting together, before Hosh returned to Auckland in early February. It would be his final Med year at the University of Auckland next year. Josh was scheduled to return in February and fly out later to Dunedin, to begin his first year of Med school. He had obviously done enough this year to be awarded a University of Otago scholarship. Rosh’s brothers and their families were well, and he had remained in touch with his parents through weekly phone calls. His sister’s married life was still disturbed, but she was beginning to make progress with her career. It had been a lean year financially, but a good one to catch up with family and friends. So, what should he say to them all this year? He was still no clearer, still at sea. As he gazed at the faraway horizon, reflecting abstractedly, his smartphone beeped. His brother had sent him a story. Air commodore Anant was an ace fighter pilot. His jet had been felled in a combat mission by a missile. He had parachuted safely and survived, but his injuries had ended his fighting career. Some years later, as he was enjoying a meal in a restaurant, a man came up to him and said, "You're Air commodore Anant! Fighter pilot commander. You were shot down on a mission a few years ago!" "Yes,” gasped Anant. “But how do you know all this?" 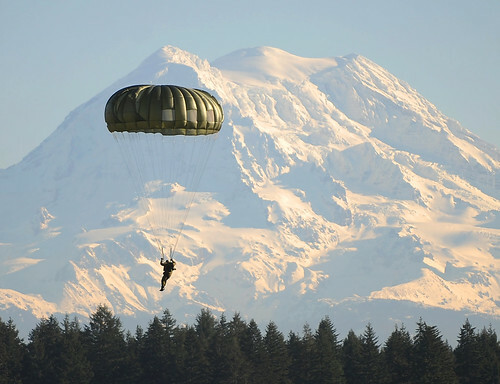 "I packed your parachute," the man said simply and smiled. The startled Anant hobbled up and shook his hand. Anant couldn't sleep that night. He thought about that man. He wondered how many times he must have passed him by at the base, never exchanging a word, never even noticing him, because he was a high-ranking officer and pilot and that man just another nameless, faceless safety worker in the field. Do we know who packs our parachutes? Everyone has someone, who provides what they need, to make it through the day. We need many kinds of parachutes when our planes are shot down. Physical parachutes, emotional parachutes, spiritual parachutes, financial parachutes. We call on all these supports for survival. Yet in the daily challenges of life, we miss something really important. We fail to recognize or be thankful to the many people who have packed our parachutes.